Late 2017, Sara contacted J-D Design from the United States, in order to set the early wheels in motion for what would become her first and central online hub to document and share all of her adventures and experiences; with family, friends and the rest of the world. Sara Hastreiter, born in Wyoming, USA is a professional sailor and athlete who has participated in the Volvo Ocean Race, Team SCA (the Ocean Racing Team) and still actively pursues her action-packed adventures across some of the most challenging oceans around the world. Sara was very clear on what she wanted to achieve in partnership with J-D Design. A website which showcased her adventurous personality, and was engaging enough to urge followers to subscribe and continue to connect. Sara had a big collection of images which were perfect for the type of modern, and responsive website designs J-D.Design is capable of - and within weeks we had a solid foundation to what would become a very modern and engaging website for Sara. Sara discussed that her unique surname can sometimes be difficult to spell & remember for those not familiar with it, therefore she needed a domain name that was modern, relevant and easy to share. 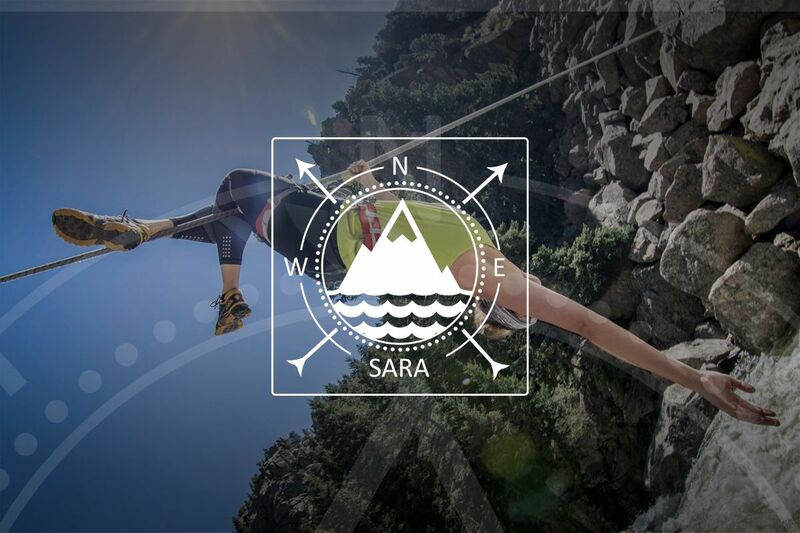 J-D Design was incredibly happy to be able to secure & provide Sara with the very modern: sara.blue domain name. Sara wanted a logo that was diverse, and dynamic enough to be compatible with any placement. Any kit, uniform, vehicle or sportswear Sara wishes to partner with will now be a breeze - as we've designed the above logo in vector format suitable for both light and dark backgrounds. J-D Design has achieved a distinguished reputation for designing modern, informative and professional business cards for both individuals and businesses. A business card is often your very first opportunity to make an immediate impression on who you are, and what you are trying to achieve; and J-D Design strives to ensure maximum consistency between logos, graphics, web design, business cards and marketing materials - for the ultimate impact. With a few follow up & review sessions, everything was where it needed to be, and Sara could continue on with her adventures while having the opportunity to document her achievements in a central, and professional way. Sara is now currently out on the ocean, and will be capturing new adventures to share with her followers soon - so subscribe to stay up to date! If you think J-D Design could help you or one of your friends / colleagues build an online audience or client base, get in touch today! We'd love to help.